Selected archives of Chicon III, the 1962 Worldcon chaired by Earl Kemp, were exhibited online by the Northern Illinois University’s Rare Books and Special Collections Department in conjunction with this year’s Chicago Worldcon. 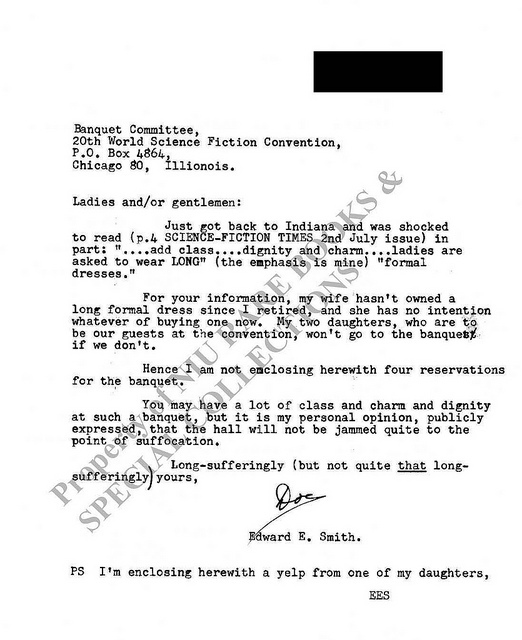 Stephanie Zvan at Almost Diamonds spotted this correspondence and brought it to the attention of fans who are discussing harassment in the wake of Readercon, in a post called “We Don’t Do That Anymore”. I’m going to disappoint the person who copied the link to me expecting I’d join him in high dudgeon, but let’s be serious. 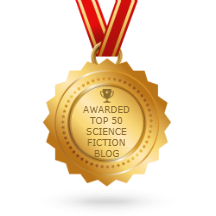 Even Asimov himself seems to have doubted it would go over in 1962 and in 2012 the idea deserves Zwan’s critique.